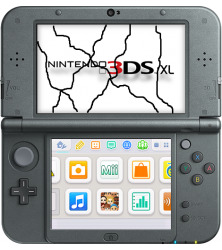 Have you got buttons that no longer work one your New 3DS or New 3DS XL? Do you find that one or some of your buttons stick? We can repair the above problems for you. Our engineers will test the buttons on your 3DS and replace the damaged or faulty parts to ensure you receive your console back fully working.